BART has come under fire recently for dirty trains and stations, and the transit agency is responding. 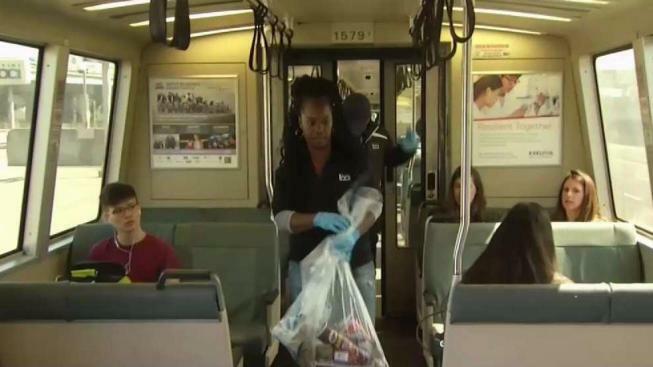 BART on Wednesday revealed a plan to use cleaning teams to check trains at two mid-line stations after riders' complaints of trash, rampant drug use and used needles on trains and in stations. "There is a need for mid-line cleaning," BART spokeswoman Alicia Trost said. BART told NBC Bay Area the teams would be staged at the MacArthur and Lake Merritt station platforms and would check most of the trains going through. "We targeted those two platforms because every train is going to pass through one of those platforms," Trost said. "One of them is walking and sweeping, one of them has the bag and proper needle disposal, and one of them is waiting to see do we need the mop, do we need any other special cleaning equipment. "If there’s nothing to clean up, they at least walk the length of the car," she added. Riders can let the train operator know if they find something dangerous such as a dirty needle, and BART said the operator reports that to the control center. A cleaning team then is assigned to track that train down and check it. "Even if they have to ride the train a little bit to take care of it, they do," Trost said.